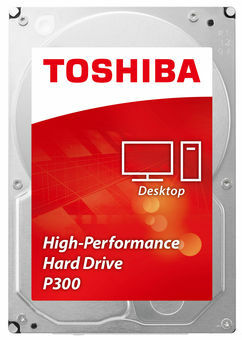 Toshiba's P300 Desktop internal hard drives provide a convenient and reliable way to upgrade every major brand of desktop computer. We combine our reliable hard drive technology with a Serial ATA interface to provide increased performance, capacity and compatibility2. Compatible with every major brand of Serial ATA enabled desktop computer, our hard drives use state of the art Perpendicular Magnetic Recording (PMR) technology, Native Command Queuing (NCQ) and TMR Head Recording technology for increased capacity, reliability and performance. Ir ok, kā jau hdd mazliet trokšņo. Ļoti labs cietais disks, darbojas bez problemām jau apmēram gadu. Nav nekad bījušas nekādas problēmas.